It's about time for an update.. 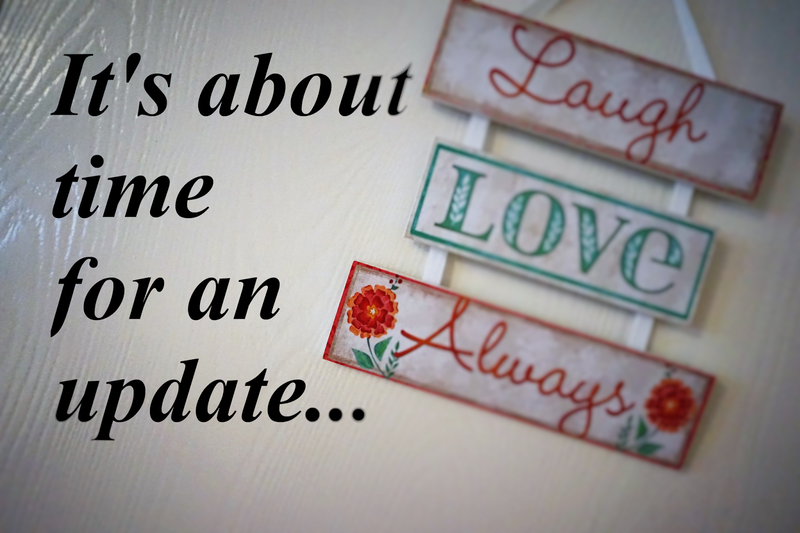 It definitely is about time for an update! I have been completely out of the blogging loop since around February, only producing one post in March due to having to review a product. It's been quite a long time since i could even consider blogging, and a lot has happened in the last 6 months or so that have been completely life changing. Instead of trying to sum up everything that's happened recently in a couple of long sentences, i'm going to just go through everything month by month as it would be impossible to shorten it down. 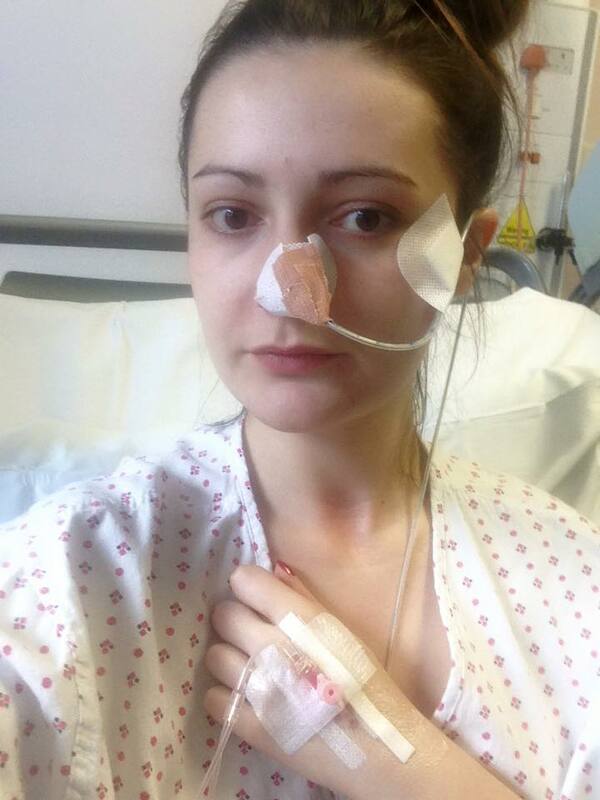 Towards the end of February i was admitted to hospital, where i ended up staying for around just under 2 weeks. I've suffered with problems with my stomach since i was born and i'm not going to go into total detail as it's kind of gross. I couldn't eat and could barely drink so in hospital i was hooked up to IV's with an NG tube and no energy, so as you can imagine, blogging was the last thing on my mind, (also the wifi in hospitals is always so bad!). I started off in Barnet General Hospital, which is just up the road from me and i ended up staying there for just over a week, and after the first couple of days of trying some treatments, they basically told me that they didn't know how to treat me as it was the worst case they'd seen, and i needed to be transferred to UCLH hospital in London to see my consultant gastroentorologist (who honestly, i'm not the biggest fan of). She knows my history and has dealt with me for years, so i was hoping she'd have some sort of answer for me, but it was basically a case of treating me and chucking me out. Also i was not happy with the way i was treated by the staff there for many reasons that i'm not going to go into. Typical they had no beds in UCLH for 8 days after i was admitted to hospital, and that's basically why i stayed in hospital so long. April started off not to bad but progressively got worse. One of my cats, who i'd had since i was 7 passed away, she was 15 and lived a good life though, but it was still upsetting as it feels like losing a part of the family. Towards the end of April, we found out that one of my best friends Pete, was going into hospital to have an operation. He had been dealing with a rare form of cancer, is his neck since late 2014 and unfortunately, even though things had been positive a few months before April, he was starting to deteriorate, and this operation was meant to help him. 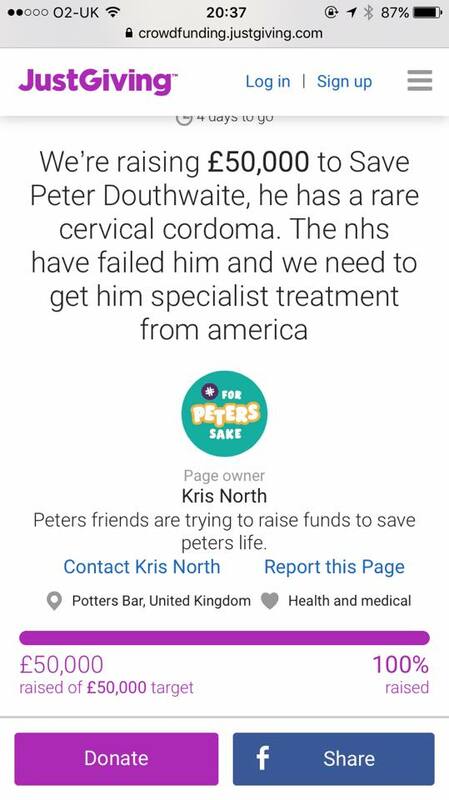 Towards the end of April, we found out that if we could get Pete lifesaving treatment over from America, there would be a possible chance of him getting better. It was going to cost £10,000 to send a sample over to America for them to just be able to analyze and to get him the treatment/medication he'd of needed over here it would of cost about £7,000 a month. A JustGiving page was started to raise £50,000 to try and achieve getting him the help he needed. 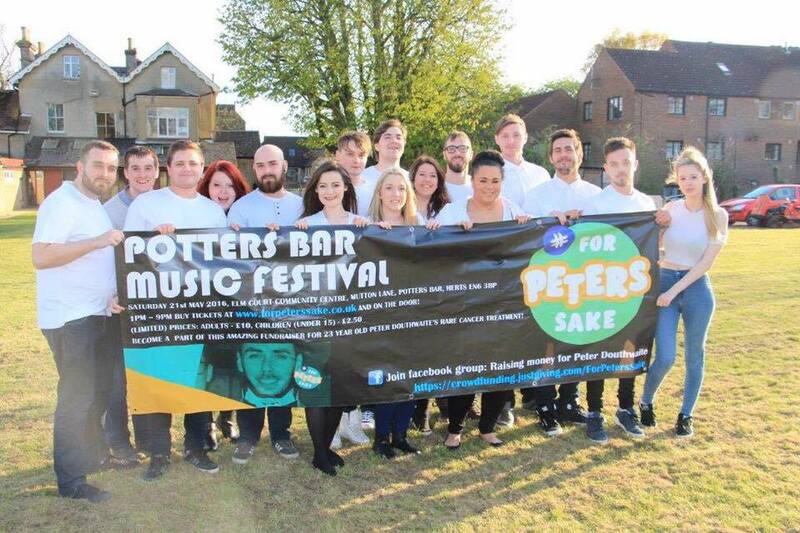 My group of friends and i decided that we would try and arrange a music festival dedicated to raising funds to help Pete. We gave ourselves just under a month to do this as this was discussed right at the end of April and we got a secure date for the festival on the 21st May. We had everyone in our friendship group doing different parts to help. We managed to secure a stage and live bands, a kids area for children to enjoy themselves, local business came and sold products on stalls, we had a huge range of raffle prizes, food, and we also managed to secure an alcohol license for the day. We also had things you wouldn't necessarily think of needing, such as security, portaloo's, tickets etc. 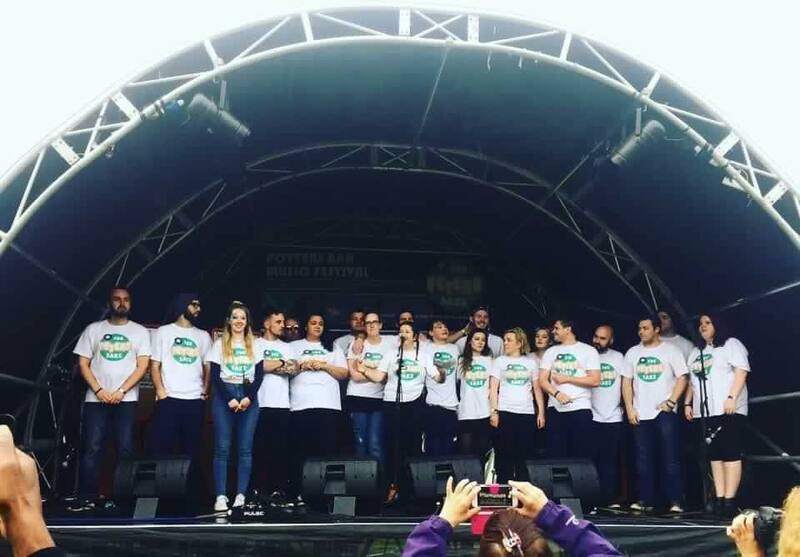 Our community in Hertfordshire is quite small but also everyone seems to know everyone, so while we were doing the festival, there were many other people doing their part to try and raise money too. There were bake sales at peoples works and schools, karaoke and quiz nights at local pubs, a charity waxing where some of the boys ended up with their legs/chest and even armpits waxed, and their was also a tan-a-thon which went down a hit with some girls and many boys attending, who i think secretly loved being turned into a nice shade of golden! The amount of work that so many people put in to raising money was incredible. Majority of my time was dedicated to the festival, whether that was gathering raffle presents or going around selling tickets. We were kindly donated a 2016 plate white Fiat 500 car to raffle off and sell tickets for in the hope of raising more money. We were in the local paper for our fundraising efforts and Pete's story had gone nationwide and was in The Mirror and The Guardian. We also had support on twitter and managed to get re-tweets promoting the JustGiving page from stars, such as Fleur East, Dappy, Mark Hamill and many more! 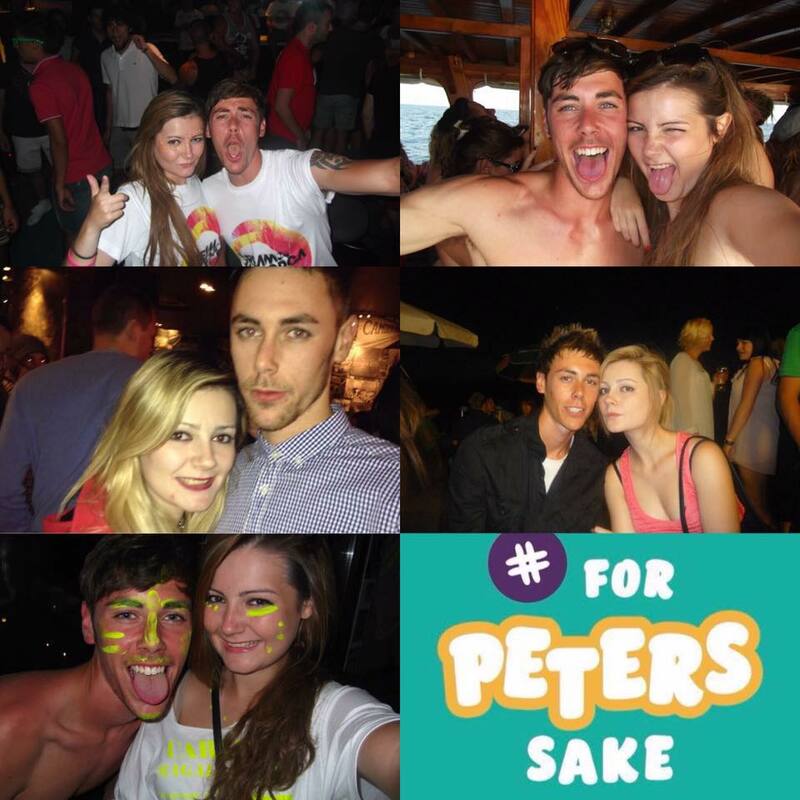 Outside of our houses we had signs like For Sale Signs,but promoting the festival and we had merchandise made with the hashtag we were using throughout for promotion which was #ForPetersSake, we had t-shirts and wristbands made up to sell. The actual day of the festival went perfectly, the weather was no where near as bad as we thought it might of been, and we were lucky enough to only have a drizzle of rain. We managed to raise a lot of money just from the festival which was amazing, and before the JustGiving page had finished, through events and kind donations we actually managed to hit the £50,000 mark which was unbelievable! Completely unrelated but in May i went on a date to a nice local restaurant with my now boyfriend, who totally wined and dined me and then did whatever he could to help out with all of the stuff we were trying to do to raise money. On the 1st of June, my boyfriend and i officially got together. He came into my life at the perfect time and is just everything i could of wanted, but i'll talk more about him in future posts. 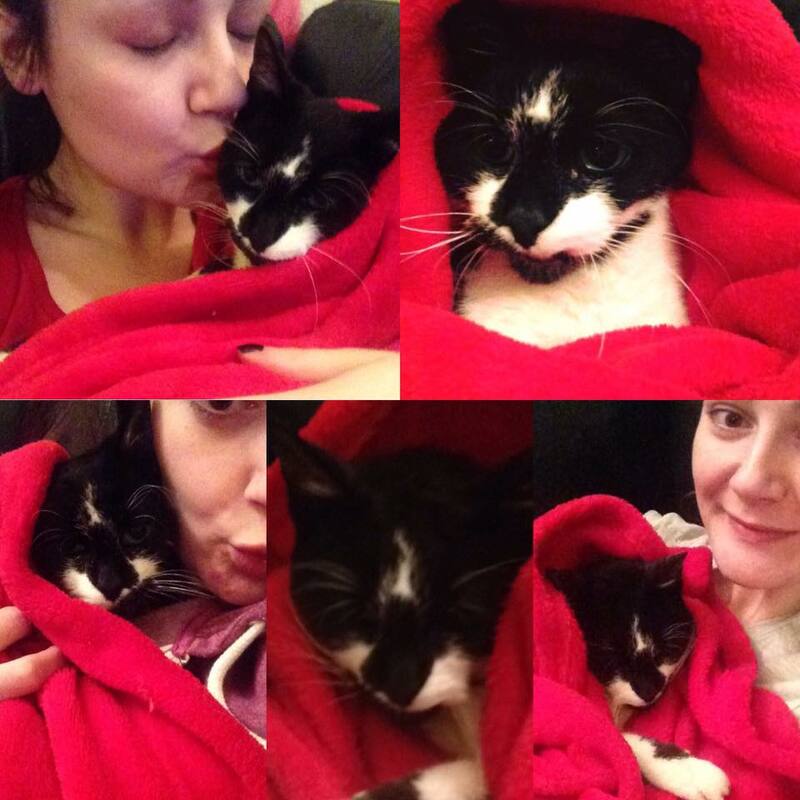 Unfortunately, just over a week into June, we got the heartbreaking news that Pete had passed away. I can't tell you how devastated everyone, including myself was. As a community we'd all done whatever we could, whether that was by donating money, doing a fundraising event, or speaking to people we knew to try and get him better care. As a friendship group, once we had all heard the news, we all congregated at the pub in the evening with a drink in hand, tears rolling down are face and then we all raised a glass and a toast to Pete was done. He seriously was one of the greatest guys i've ever had the pleasure of knowing. Later on in June, we had Pete's funeral. His favourite colour was blue, so some people were wearing something blue, and one of my friends bought lots of fake blue roses so we could lay them down for him. The fact he was gone hadn't really hit me until the funeral, and i don't think i'll ever be able to get my head round the fact that i'm never going to see him again. He was one of my best friends and the strongest person i ever had the pleasure of knowing and it's just a shame that he was taken from us at the young age of 23. I miss him every single day. June was not a good month. In July, George moved into his new flat. He was renting a room before we'd met. He now lives in a little studio flat, and i wanted to help him out a bit so i bought him some basic stuff for the flat that he hadn't even considered that he might need. Such as cutlery, glasses, and a bin etc. To put it quite simply, he hadn't thought of half the things he'd of needed to live in a flat on his own. I'm such a thrifty shopper, always looking for discount codes before i buy anything, so i managed to basically kit out his little flat with everything he'd need for not much money at all. As July was such a hot month, it mostly consisted of going to a few bbq's and sitting in the pub garden some days or some evenings. My friends, George and i were all meant to be going to Eastbourne at the end of July. but things changed and in the end as a very last minute idea, George and i went to Clacton-on-sea for a little 3 day trip. We spent so much time on the pier playing those silly games and also going to some amusement arcades, we felt like such children but we both agreed it was the most fun we'd had in a long time! We got one really good day of sunshine while were there where we ended up sunbathing for a bit of the day on the beach. We ended up spending a lot more money than we had intended but it was the perfect getaway and we had a blast! 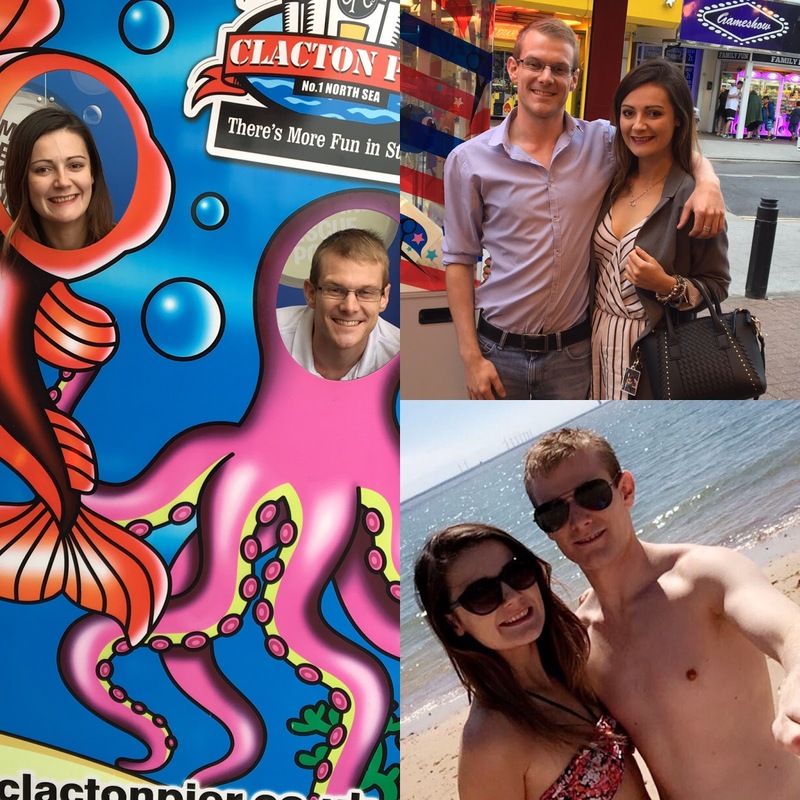 August wasn't a particularly interesting month once we had got back from Clacton on the 2nd. I needed a good week to recover from the hectic little getaway, my pain levels were awful, and as well as being beyond physically exhausted, i was quite mentally and emotionally exhausted too! 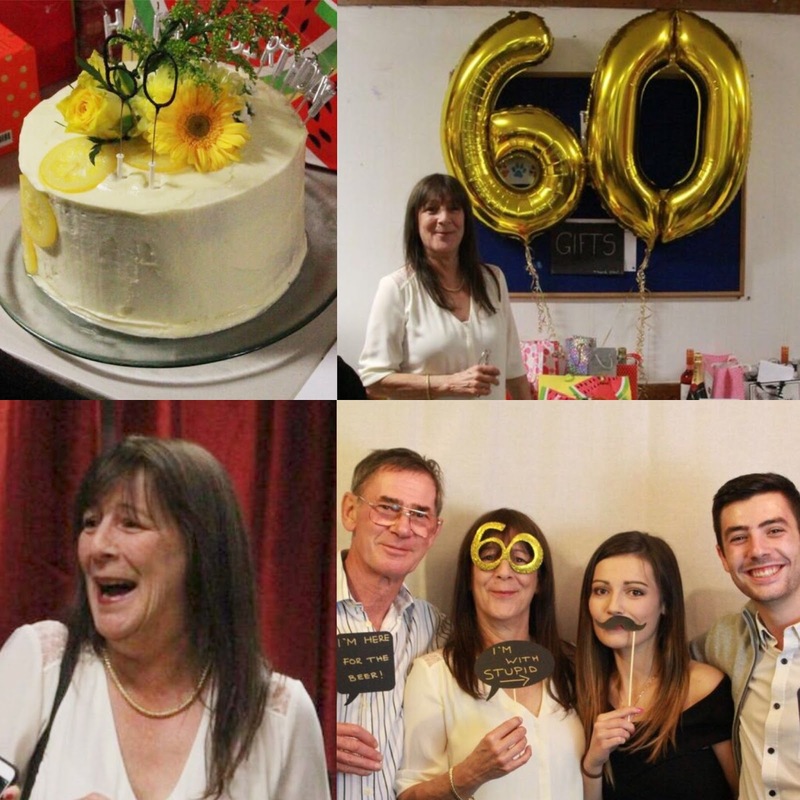 It was going to be my mums 60th birthday on the 24th September and a good 2/3 of the way through August, i decided i was going to give myself the little project of throwing my mum a surprise party. The day after i decided i was definitely going to do it, i managed to book a venue and because her birthday happened to be falling on a Saturday this year, i managed to hire the venue on the actual day which i was thrilled about! I found a website where i managed to create some personal party invitations with her face on and get a 100 for a reasonable price, (thank you discount codes!! )and once they arrived, i started getting peoples addresses and either posting them through peoples doors if they were local, or sticking them in the post. September ended up being one of the most stressful months this year. So much was going on and it was absolutely hectic, felt like i just never stopped! So, as i was saying, i was planning a surprise party for my mum, and once the venue was hired and paid for and the invitations had all been sent out, i needed to start thinking about decorations, a cake, buffet etc, and that's where it became rather expensive. There was a buffet (which we most definitely over catered for! ), a sweetie table, and a gift table which so many people kindly let presents for my mum on. My boyfriend's sister kindly did the cake for us which tasted bloody incredible! We also hired a photographer who we managed to find at a reasonable price who took incredible photos, and we bought lots of random props and with her white backdrop it was like a little DIY photo booth! 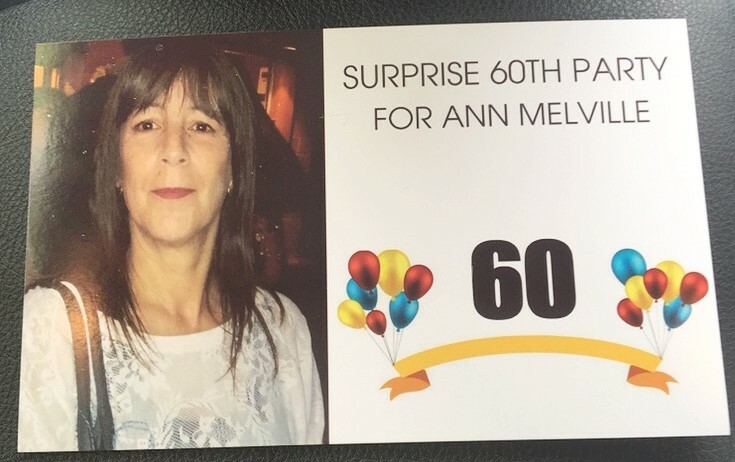 I was so worried about my mum finding out as i really wanted it to be a massive surprise to her, and thanks to a couple of white lies and some help from a few other people it managed to stay a complete secret and she was completely taken a back when she walked in and everyone yelled out "SURPRISE!" Her party was a total success, lots of people turned up and some of the people my mum hadn't seen in years attended.It seriously couldn't of gone any better and my mum really enjoyed her night, which was the main thing. While planning the party, i also managed to have around 3 hospital appointments a week throughout September for various things. I went to see one of my consultants and got an actual diagnosis of POTS (Postural Orthostatic Tachycardia Syndrome) which i'll go into detail about in a future post. I also had to make an emergency dentist appointment as 2 days before my mums party, my front tooth had badly chipped due to them being so thin. luckily i managed to get an emergency appointment where he managed to sort it for the time being. 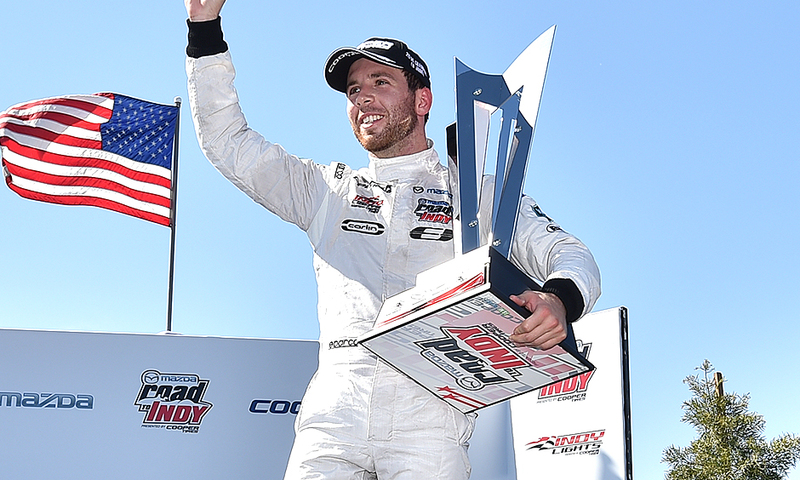 On a brighter note though, my cousin who is a racing car driver who had been competing in Indy Lights in America, managed to win a sponsorship for a seat in Indy Car which is worth $1,000,000. (Indy Car is huge over in America and Indy Lights is the category before it.) I am a very proud cousin!! Throughout the last few months the pain i've been in due to my Ehlers Danlos has been progressively getting worse, especially in my neck. It's been so severe that it's left me bed bound on days, i'm having to use a wheelchair 99% of the time now and i'm in a hell of a lot of strong painkillers. At the beginning of October my mum kindly paid for me to have a private appointment in London with a consultant rheumatologist, I went with her and George (my boyfriend) and to be quite honest there wasn't much that she told us that we didn't already know. She told us that i needed physio for everything intensely (not every 3 weeks like i've just started having!) but unfortunately i can't afford £200 a session to have physio regularly with the specialist physio that she recommended for my neck. She also did a quick assessment of my movement after i gave her my history where she clarified that i had Ehlers Danlos which i thought was rather pointless. The appointment was only for an hour so to tell her everything i needed to in an hour was quite difficult, especially as my appointment was at 7pm and my brain was frazzled. She did tell me i need an MRI on my neck to rule out something more sinister going on, but typically, the MRI they'd use for what they want to rule out is an upright MRI, which they don't really do on the NHS, so would cost me a couple grand, so now i'm waiting for a normal MRI on the NHS so no idea when that will be! To be honest, i've spent October being a bit of a mess, i feel like i've been on an emotional rollercoaster, as i've just been so up and down. I've spent a lot of time crying due to being very down, but also due to the effect that my physical health is having on my mental health as it feels like no one takes me seriously when it comes to the pain i've been suffering. I've been referred to a pain management team though so hopefully that'll help. I've spent a bit more time than usual at George's flat recently, and it's nice to get some quiet time from my hectic household, so i also like being able to chill there on my own if George is at work. We then very randomly and spontaneously, decided to get a little kitten for his flat. 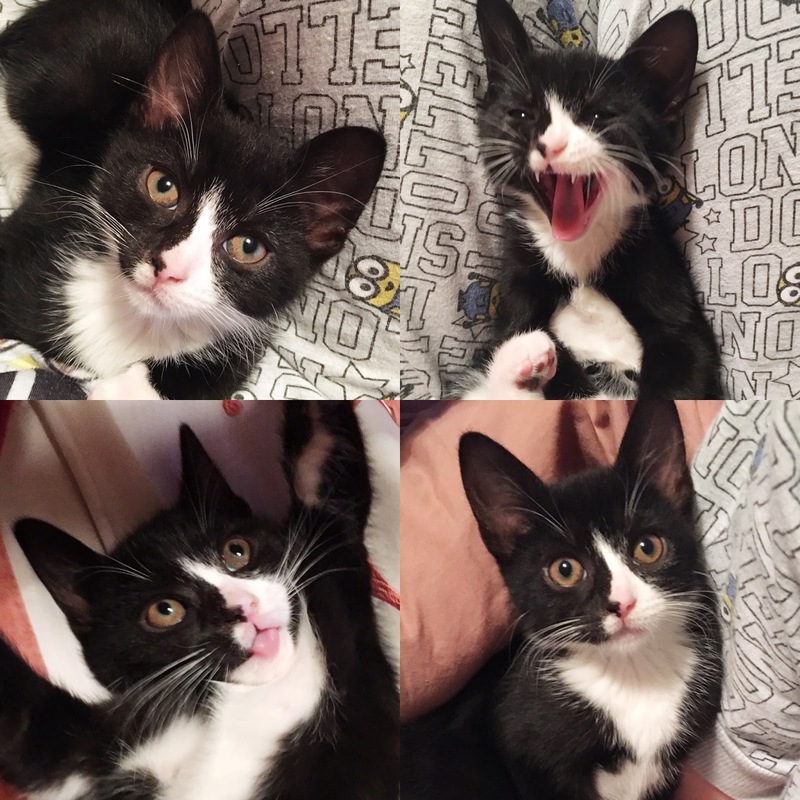 He's the cutest, naughtiest little kitten ever, and his name is Badger. He is good company for when i'm their on my own and he does brighten up my mood because some of the things he does just crack me up! This was a proper lengthy post so if you've managed to actually read all of this then thanks! I really hope December and New Year will be better for you!! If you want to take the compliments and the reviews from different people then you have to come to this site. You can see that multiple people posted their pictures on this area and like that they have the grademiners review forum on which they can make fun.